Before filing bankruptcy, many clients are concerned about the impact bankruptcy will have on their credit score. In reality, bankruptcy is often the best thing for your credit score, because what's even worse for your credit score is continuing to miss payments, and getting lawsuits, judgments, and garnishments against you! It's a lot like taking medication---it sometimes has a mild side effect, but it gets rid of something much worse. 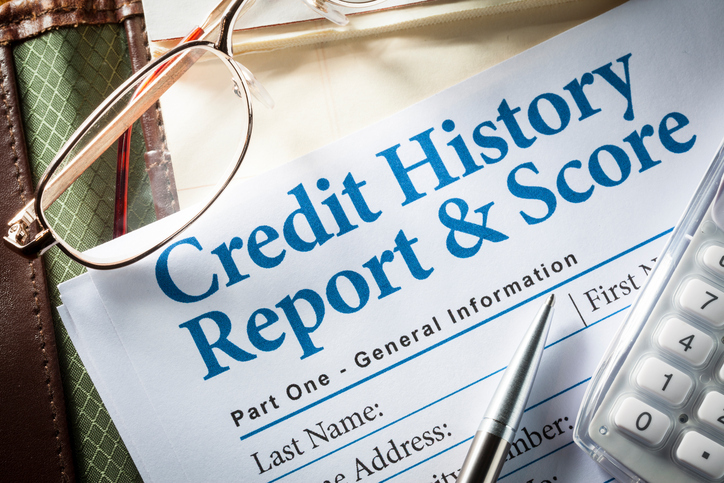 A frequently overlooked issue we see with clients attempting to rebuild their credit after bankruptcy is inaccurate information on their credit reports. In fact, as many as 50% of individuals that have recently gone through a bankruptcy will have some form of inaccurate information on their credit report! That's information that may be impairing your ability to get credit---or increasing your interest rates. On big purchases, this can easily add up to hundreds or thousands of dollars of interest you shouldn't owe. Incorrect Collection Status - Often discharged debts are still listed on credit reports with an incorrect status or balance. This can make it appear as though a debt was never discharged. Incorrect Collection History - Sometimes creditors report that an account was delinquent for months (or even years) after it was discharged or otherwise resolved. Privacy Violations - Sometimes unauthorized individuals or organizations pull credit reports or obtain more information than they were permitted to. This might include creditors, potential lenders, or even acquaintances. Mixed Files - Occasionally information from two or more individuals can end up in the same credit report. This may be due to similar names, addresses, or social security numbers. Just imagine someone else’s information showing up on your credit report! This is a very small sample of issues that often occur in credit reports. Any of these issues can significantly impair your ability to rebuild your credit and move forward. If you've gone through the hassle of filing for bankruptcy, you owe it to yourself to get your credit report checked out. Lincoln Law now offers a FREE Credit Report Review* to its post-bankruptcy clients. We'll help you order your credit reports and review them for any inaccuracies. We'll assist you in properly disputing any inaccuracies to the proper authorities. If the issues remain unresolved, we'll legally pursue those responsible---you could even receive a monetary award. We'll ensure you do all of this using the proper methods---as some alternatives can actually waive your rights. To be clear, this isn't just a free consultation. For entrusting us with your bankruptcy, we're offering this entire service to Lincoln Law clients for FREE*. Call (888) 458-3675 to begin the credit report review process with an attorney trained in the Fair Credit Reporting Act. *If all inaccurate information is fixed by the credit reporting agencies during the dispute process, the service is complete and you walk away with accurate information on your credit reports. Lincoln Law is only paid a portion of any settlement or fees awarded to you resulting from a lawsuit on your behalf. If there is no recovery, there is no cost to you. Disclaimer: Lincoln Law is not a Credit Repair Organization as defined by the Credit Repair Organizations Act, 15 U.S.C. §1679. This is not a 'credit repair' service. We are not guaranteeing any credit score improvements. The objective of this service is to ensure the information on your credit report is accurate.